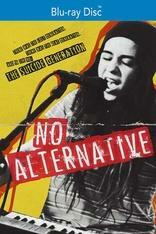 There was The Lost Generation, there was The Beat Generation, and in the '90s The Suicide Generation. Thomas Harrison (Conor Proft) is determined to start his own grunge band, an obsession that blinds him to what's either the mental collapse, or eruption of musical genius, of his younger sister, Bridget (Michaela Cavazos). Bridget boldly rejects her brother's music, and the music of an entire generation of slackers, by taking on the persona of a gangsta' rapper named "Bri Da B."